Of all the artists that have graced this site, Sam Verlinden is one of the longest and most featured talents on Rivenmaster’s Place. Sam’s first article ran on September 30, 2009, only a few weeks after the sites conception, and he shares the honor of being one of two artists who were featured nearly every day for an entire month. 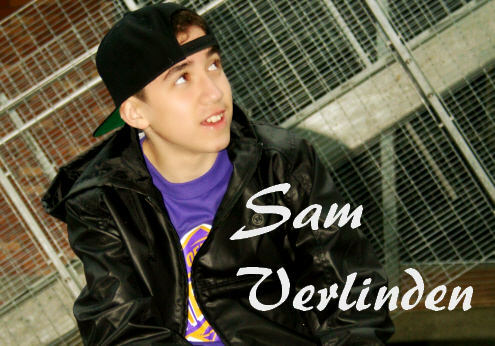 Sam Verlinden has always demonstrated a vocal talent that exceeds his years of experience. He has amazed millions through his YouTube Site and excited audiences numbering in the thousands at outdoor concert events held in New Zealand. While the ocean is the only thing that has kept him from a recent visit to the United States his fame has not been hindered, reaching across several continents resulting in an ever growing fan base. Sam’s last article published here was in 2011 not long after he performed at the legendary Parachute Festival on the Main stage. This performance really gave him a boost to his local fan numbers and set the stage for even bigger things. 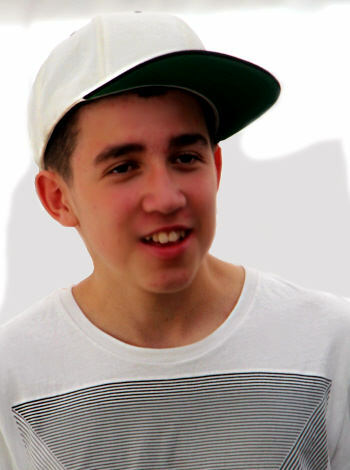 Sam has never stopped working, performing and singing, and like most young singers grabs every opportunity to perform. There was also the move to College, (High School in New Zealand), which tripled the amount of homework that goes with that territory, as well as his active involvement in rugby. Saying Sam was busy would be an understatement when it comes to his everyday life activities. Surfing YouTube is a favorite pastime for me and I’m always excited when I stumble upon a new talent that causes me to take a “Double Take”. In the case of Griffin Tucker, it was a full hour of watching all his YouTube videos and searching to find out more about him; and when I did, I just had to share his story with the world! I was happy when I quickly heard from Griffin’s mom and even more delighted when she agreed to share his story with me. 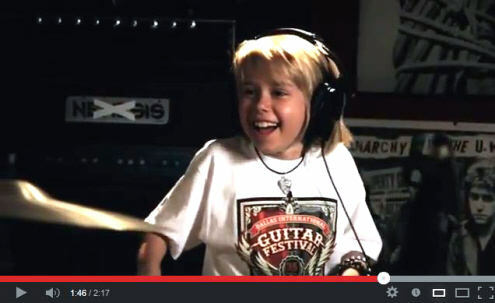 Griffin Tucker is an 11 year old emerging artist who eats, sleeps and breathes music. His mother tells me that Griffin’s love for music began at a very young age. 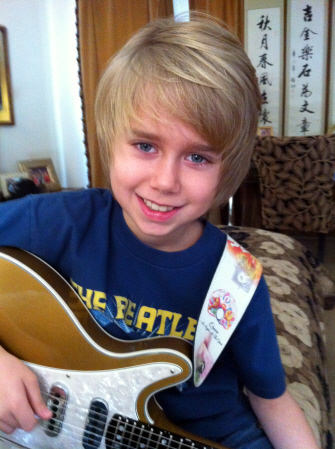 In fact, Griffin says that he remembers loving his still favorite band, “The Beatles”, when he was just 3 years old! At age six, he taught himself to play drums by watching his Beatles DVDs and closely studying Ringo Starr. 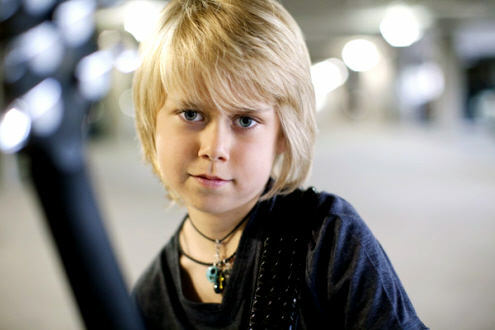 At age eight, he took a few months of piano lessons and soon mastered that. This led to a new love, the guitar, which was followed by the bass guitar, and of course, singing. Griffin not only can sing, but exhibits a three octave vocal range with perfect pitch. 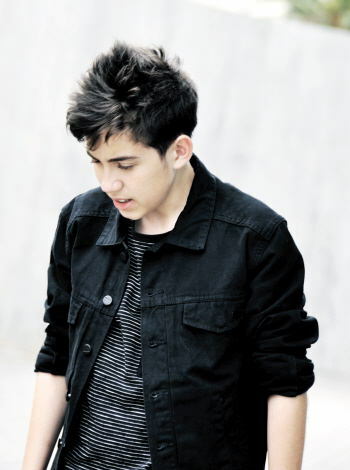 His talents are brilliantly demonstrated in his music video “Help”, a cover from his favorite band, “The Beatles”.